In 1969, Irv Teibel(1938-2010) released a record that would have a profound impact on ambient and New Age music that's continues to this day. 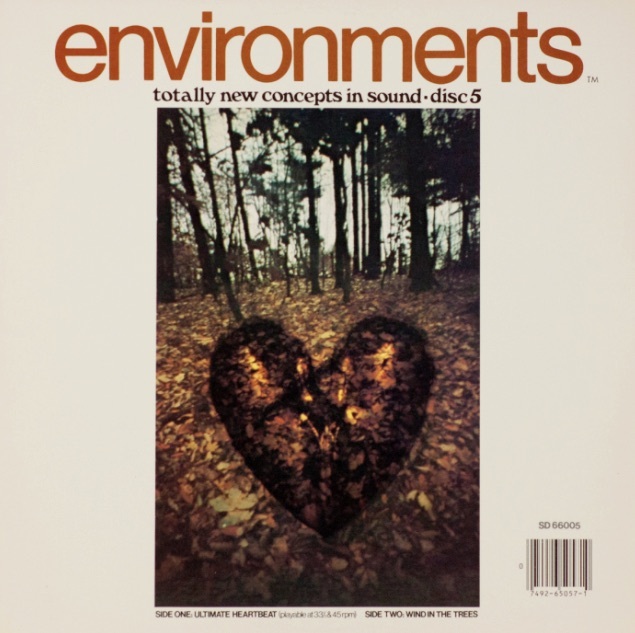 "Environments 1: Psychologically Ultimate Seashore" was the first in a catalog of albums that melded pop psychology with environmental sound recording to sooth the mind. Over the years, Treibel's company Syntonic Ressearch Inc. produced 11 albums with 22 soundscapes ranging from "Optimum Aviary" to "Wood-Masted Sailboat" to "Ultimate Heartbeat." "The music of the future isn't music," Teibel said. Now, audio archaeologist Douglas Mcgowan, curator of the sublime I Am The Center New Age compilation that I raved about here, Syntonic Research Inc, and the fine folks at Numero Group have brought the Environments catalog to iOS. Environments is now a fantastic $2.99 app with all 22 remastered long-form soundscapes in easily swipeable form. It's intuitive, beautifully minimalist, and a perfect evolution of the original work. Turn on, tune in, chill out.